Entergy’s specialized skilled/craft workers provide sustainable generation and distribution across our multiple jurisdictions; whether it’s Nuclear, Power Generation, Transmission, or Distribution, Entergy has a wide variety of opportunities to utilize your technical skills. 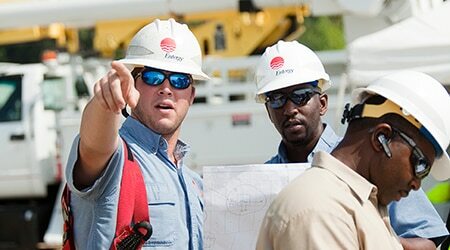 Apply today and become part of the Entergy’s skilled/craft workforce. These jobs include production technician, radiation protection technician, lineman/lineworker, instrument technician, instrument and controls technician, maintenance operator, substation repair and relay technician.